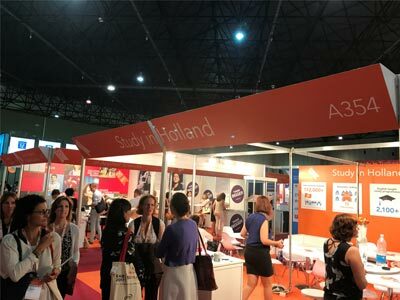 The Dutch made their presence felt at the 2017 EAIE conference for international education in Seville this week – of the 5,750 participants about 10% are Dutch! And of course, Wittenborg University of Applied Sciences is in attendance, represented by the chair of the executive board, Peter Birdsall, and the international sales manager, Tim Birdsall. Wittenborg has locations in Amsterdam, Apeldoorn and Vienna. EAIE stands for the European Association for International Education. The conference started on Tuesday and will continue until Friday. It was preceded by the 2017 ICEF Workshop, also in Seville, Spain. Among the Dutch stands was that of Nuffic – the Dutch organisation for internationalisation in education. 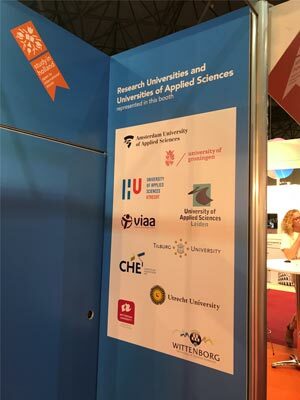 The Dutch were represented by a mixture of research universities and universities of applied sciences, such as Wittenborg and its neighbour institute in Apeldoorn, Saxion University of Applied Sciences. There was also a good mix of private and public institutions. 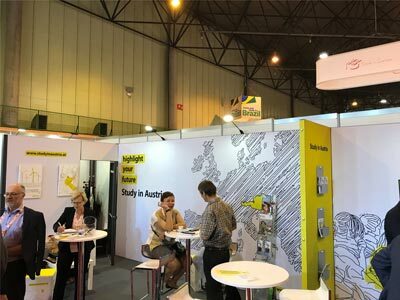 Wittenborg had discussions with partner universities in Spain, India and the UK, as well as European marketing agencies, the Austrian housing organisation OEAD, Indian student representatives abroad and international student insurance company, AON.